The sword has a double-edged blade with a fuller that extends ¾ on the length of the blade. 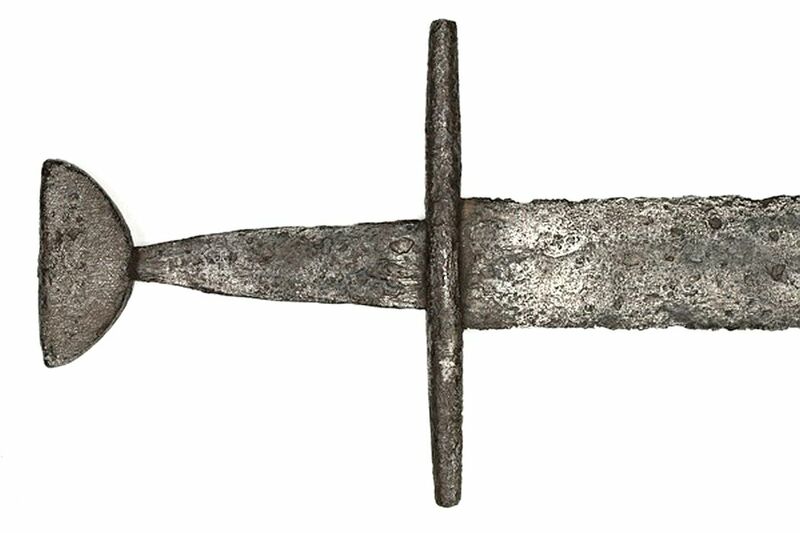 Extremely interesting in this sword is the pommel which was not formally included in the Oakeshott typology. It recalls the N type and at the same time an inverted type A. In his book, Records of the Medieval Sword, Oakeshott publishes two similar swords with very similar pommels (type A).